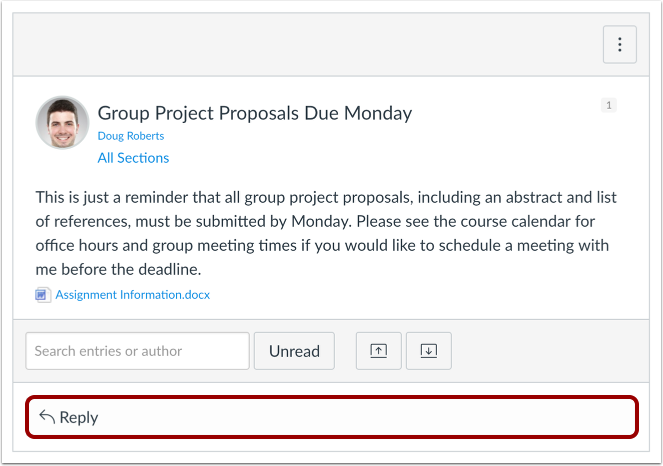 Note: If the reply field is not available, the announcement has been closed for comments and you cannot post a reply. 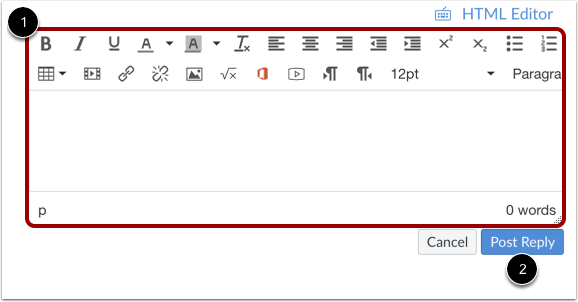 Note: The announcement reply Rich Content Editor includes a word count display below the bottom right corner of the text box. Previous Topic:How do I subscribe to the Announcements RSS feed as a student? 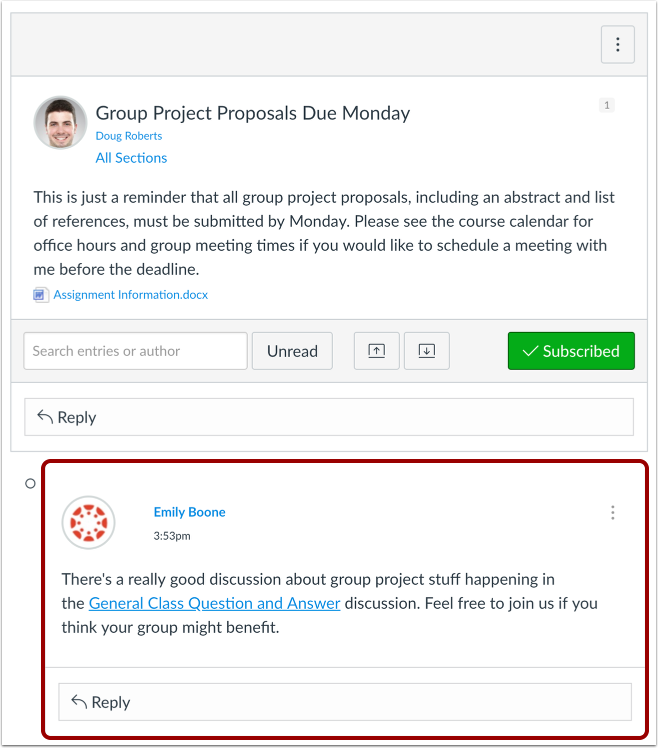 Next Topic:How do I like a reply in a course announcement as a student? 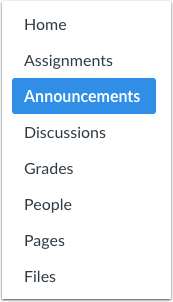 Table of Contents > Announcements > How do I reply to an announcement as a student?